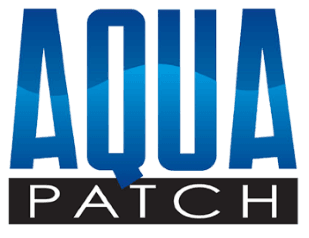 Aqua Patch Road Materials (“APRM”) warrants that the water activated asphalt patching product known as “Aqua Patch” (“Product”) will: (i) be free from manufacturing defects for three years beginning from the date of the Product’s use by Purchaser; and (ii) when installed correctly cure within one hour and meet Marshall Stability criteria according to AASHTO T-245-13 (Resistance to Plastic Flow of Bituminous Paving Mixtures) with a minimum stability value of 2,150 lbs. at 75 blows. Purchaser’s sole and exclusive remedies under this Limited Warranty shall be limited, at APRM’s exclusive discretion, to: (i) replacement of any defective Product; or (ii) return of the purchase price for any defective Product. The Limited Warranty is effective only if the Product and the subject use of it was completed within 180 days after the manufacture date on the Product package (i.e., used prior to the Product’s expiration date). The Limited Warranty shall be effective for no more than 3 years following the expiration date on the original purchased Product and shall not extended for any replacement Product provided under the Limited Warranty. The Limited Warranty excludes normal wear and tear of the Product. PURCHASER MUST INSPECT AND REASONABLY DOCUMENT THE INSTALLATION OF THE PRODUCT WITHIN 30 DAYS OF COMPLETING INSTALLATION. For all claims, Purchaser must notify APRM or the authorized distributor and provide documentation reasonably requested by either APRM or the authorized distributor, within 30 days of Purchaser’s discovering/experiencing any problems with the Product. Reasonable documentation for all claims shall include, without limitation, records of the purchaser’s inspection and documentation of the Product’s installation taken within 30 day of completing installation. THE LIMITED WARRANTY ABOVE IS THE SOLE AND EXCLUSIVE REMEDY OF THE PURCHASER AND THE EXCLUSIVE LIABILITY OF APRM. THE LIMITED WARRANTY IS IN LIEU OF AND EXCLUDES ALL OTHER WARRANTIES OF APRM AND THE MANUFACTURER OF THE PRODUCT, WHETHER EXPRESS, IMPLIED, STATUTORY, OR OTHERWISE CREATED UNDER APPLICABLE LAW, INCLUDING, BUT NOT LIMITED TO, ANY WARRANTY OF MERCHANTABILITY AND ANY WARRANTY OF FITNESS FOR A PARTICULAR PURPOSE, USE, DESCRIPTION, QUALITY OR FROM COURSE OF PERFORMANCE, COURSE OF DEALING, USAGE OF TRADE OR ANY OTHER MATTER. TO THE MAXIMUM EXTENT PERMITTED BY APPLICABLE LAW: (1) IN NO EVENT AND UNDER NO LEGAL THEORY WILL APRM BE LIABLE FOR ANY LOSS OR DAMAGE CLAIMED TO HAVE RESULTED FROM THE USE, OPERATION OR PERFORMANCE OF THE PRODUCT, REGARDLESS OF THE FORM OF ACTION, INCLUDING, WITHOUT LIMITATION, OTHER PRODUCTS USED WITH THE AQUA PATCH, IMPROPER OR NEGLIGENT INSTALLATION, STORAGE, HANDLING, THIRD PARTY ACTIONS; AND (2) IN NO EVENT WILL APRM BE LIABLE TO PURCHASER FOR (A) ANY CONSEQUENTIAL, INCIDENTAL, INDIRECT, PUNITIVE OR EXEMPLARY LOSSES OR DAMAGES, OR ANY LIABILITY FOR LOSS OF REVENUE, LOSS OF PROFIT, LOSS OF PRODUCT, LOSS OF REPLACEMENT POWER OR BUSINESS INTERRUPTION, LOSS OF BUSINESS OPPORTUNITY, COVER, LOSS OF INFORMATION, OR USE BASED UPON ANY CLAIM BY PURCHASER FOR BREACH OF WARRANTY, BREACH OF CONTRACT, NEGLIGENCE, STRICT LIABILITY, OR ANY OTHER LEGAL THEORY, EVEN IF APRM HAS BEEN ADVISED OF THE POSSIBILITY THEREOF, OR (B) ANY CLAIM WHETHER IN CONTRACT OR TORT THAT AROSE MORE THAN ONE YEAR PRIOR TO INSTITUTION OF SUIT THEREON. APRM MAY ONLY BE LIABLE FOR ACTUAL DAMAGES RESULTING FROM A MATERIAL BREACH OF THIS LIMITED WARRANTY AND FOR PERSONAL INJURY OR PROPERTY DAMAGE DIRECTLY RESULTING FROM GROSS NEGLIGENCE OR INTENTIONAL MISCONDUCT ON THE PART OF APRM UP TO, BUT NOT EXCEEDING, THE PURCHASE PRICE FOR THE PRODUCT PAID. The Limited Warranty is void and specifically excludes all damages if Product failure results from: (i) expired/improper use; (ii) any alteration or change to the Product; (iii) abuse; (iv) accident; (v) failure to conform to applicable storage, use, maintenance or installation recommendations/instructions; (vi) neglect; (vii) structural failure, inadequate foundation or ground, improper preparation and/or structural movements; (viii) Acts of God; (ix) improper application by unauthorized persons/corporations or (x) any other cause not directly resulting from a defect of the Product. If Product failure results from any of the above conditions, all repairs, including material and labor, shall be the sole responsibility of the Purchaser. By accepting APRM’s Product, Purchaser represents, warrants and agrees that Purchaser has carefully evaluated the suitability of APRM’s Product for Purchaser’s intended use. APRM reserves all rights with respect to investigating claims made regarding any alleged defects in the Product. All warranty inspections must be performed by APRM or, at APRM’s election, an authorized distributor. No agent, employee or representative of APRM (or any distributor, dealer or sales representative of APRM) has the authority to bind APRM to any affirmation, representation or warranty concerning the Product, and unless such affirmation, representation or warranty is specifically included in these Terms, it is not a part of these Terms and shall not bind APRM or be enforceable by Purchaser. Purchaser is not authorized to and shall not in any way extend any warranty or to any one on behalf of APRM without APRM’s express written consent. The Limited Warranty only applies to Product sold through APRM or APRM’s authorized distributors. The Limited Warranty shall not apply without a receipt of purchase and unless payment for the Product has been made in full. APRM reserves the right to make changes in design and improvements to the Product from time to time, and Purchaser understands that APRM shall have no obligation to upgrade any previously manufactured Product to include any such changes. If you are experiencing problems with the Product, you must first contact the distributor from where you received the Product. Only in the event your problem is not resolved by the authorized distributor of the Product, please contact APRM at phone (844)-869-8873 or email info@aquapatchroadmaterial.com , between 8:00am and 5:00pm (Pacific Time) and request to speak with a customer service representative. APRM may assist you only if you the particular distributor from which you received the Product has not resolved your particular problem as provided under the Limited Warranty. In the event APRM confirms the Limited Warranty applies, APRM will notify you of its chosen remedy. In the event APRM determines that the Limited Warranty does not apply, you will be informed of the reason. In the event testing, travel and accommodations are required to confirm whether the Limited Warranty applies, and APRM determines in its discretion that the warranty claim was made in bad faith, Purchaser is responsible for all costs incurred by APRM in assessing the warranty claim. These Terms constitute the entire agreement between APRM and Purchaser regarding any warranties for the Product, and supersede any and all prior agreements, correspondence, quotations or understandings heretofore enforced between the parties relating to the subject matter hereof. If any term or condition or part of these terms is held invalid, the remaining terms shall not be affected thereby. These terms may not be modified, canceled or rescinded, except by a written agreement by both parties executed by their duly authorized agents. All rights available to APRM under the Uniform Commercial Code except as specifically limited or excluded herein (even though not specifically enumerated), are reserved to APRM. This agreement and any sale of the Product to Purchaser shall be deemed to have been made in and governed by the substantive laws of the State of California, without regard to choice-of-law provisions. Any failure by either party to enforce at any time any of the terms shall not be considered a waiver of such party’s right thereafter to enforce the same or any other term or condition hereof. These terms shall be binding upon the successors and legal representatives of Purchaser and APRM.